Steirer, Gregory & Payne, Matthew Thomas. “Key Issues in Digital Ecosystem Design and Implementation.” White Paper research report presented to Warner Bros. Digital Distribution as part of the Connected Viewing Initiative sponsored by Warner Bros. and the University of California at Santa Barbara (2014). 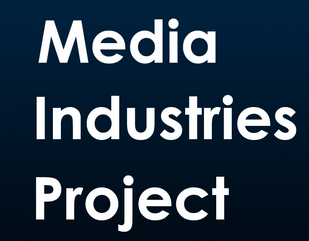 Reflective of increased industry convergence, this project examines digital game and video distribution within a comparative frame to highlight how these models can be developed and applied across divisions. In a media distribution landscape awash with diverse models of content delivery, the video game industry has pursued a policy of experimentation and innovation with respect to the digital distribution of their goods and services and has therefore upended earlier approaches to monetization and radically changed consumers’ relationships to games and game-related properties. These models of digital game distribution have important implications for the digital distribution of long-form video, and this project will examine how these models could be adapted to “gamify” video distribution. ecosystem media industries video games Warner Bros.